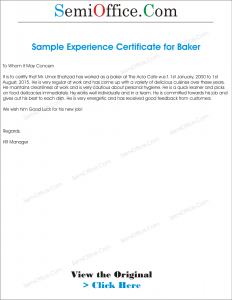 Sample experience letter for baker working in bakery, restaurant, cafe, hotel, coffee or any other food company with backed items. 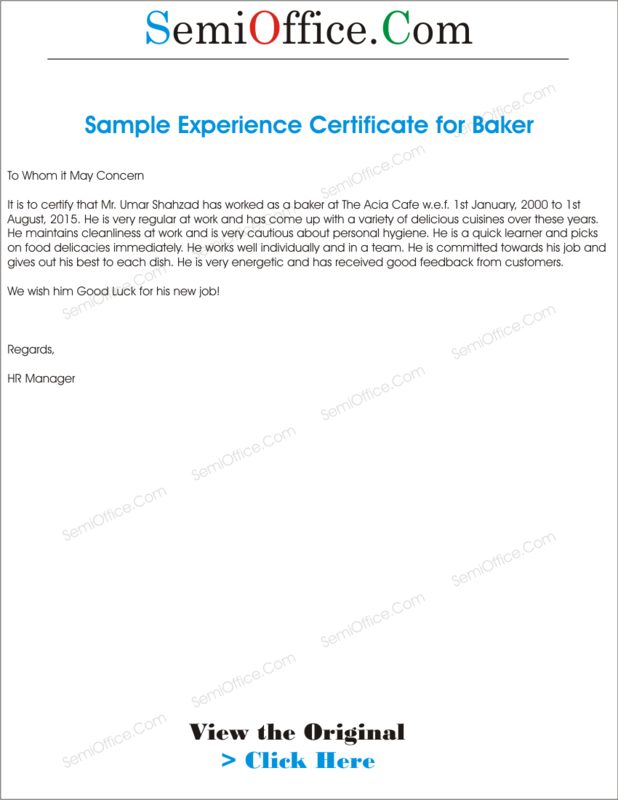 It is to certify that Mr. Umar Shahzad has worked as a baker at The Acia Cafe w.e.f. 1st January, 2000 to 1st August, 2015. He is very regular at work and has come up with a variety of delicious cuisines over these years. He maintains cleanliness at work and is very cautious about personal hygiene. He is a quick learner and picks on food delicacies immediately. He works well individually and in a team. He is committed towards his job and gives out his best to each dish. He is very energetic and has received good feedback from customers. We wish him Good Luck for his new job! This is certified that Mr. Hamza S/O Ali has been working as a Baker for 10 years, during his job duration we have found him energetic, hardworking, and loyal. He is a polite and calm person. He is always happy to work as a team and under pressure. I wish him best of luck for his future job.